All students are asked to wear their Stand Up! shirt or an orange shirt on the scheduled Stand Up! days. Each Stand Up! day will also host a fun fundraiser. Funds will be used for character education and anti-bullying special events. Newly hired staff will be trained on the bullying policy at their Induction Day in August. All new staff will be made aware of the Bullying Prohibition Policy No. 514. Survey: It is a goal of the committee to offer a survey to students in gr 3-12. The Olweus Bullying Questionnaire would be administered at the start of the school year and at regular intervals. Elementary T-shirts: Each student PreK-Gr6 will be encouraged to purchase a t-shirt. The cost of the t-shirt will be approx. $5 ea. The t-shirts will be worn on the monthly scheduled “Stand Up” day. 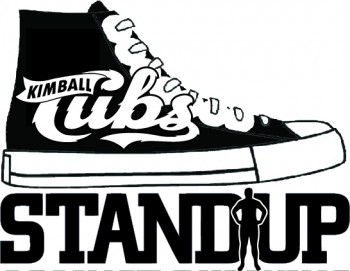 Stand Up Day: Classroom meetings will be conducted on Stand Up day each month. Topics will include playground/cafeteria/bus behavior, cyberbullying, watching video scenarios and discussion of how to handle the situation, role-play activities, etc.